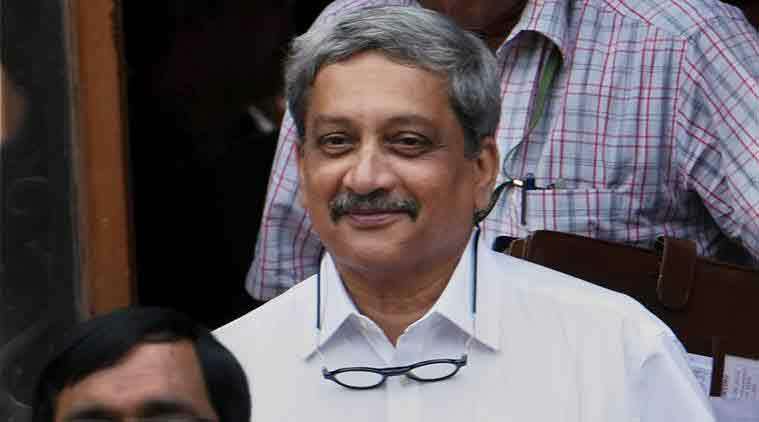 He is duty-bound to confound assessments of India’s nuclear deterrent. Deterrence is a mind game. Nuclear deterrence is even more psychologically weighted because at stake, quite literally, is a nation’s survival as a “social organism”, to use the words of the geopolitical theorist Halford Mackinder. What makes nuclear deterrence work is the ambiguity and opacity shrouding its every aspect. These range from weapons/warheads, delivery systems, their deployment pattern, command and control system to details about storage, reaction time, and physical, electronic and cyber security schemes, the weapons production processes, the personnel involved and policies relating to all these elements. The more anything remotely connected with nuclear hardware and software, strategy, policies, plans and posture is a black hole, the greater is the uncertainty in the adversary’s mind and the unpredictability attending on the deterrent. Moreover, pronouncements emanating from official quarters that obfuscate matters and generate unease, especially about India’s nuclear weapons-use initiation and nuclear response calculi, enhance the sense of dread in the minds of adversary governments. Dread is at the heart of successful nuclear deterrence. We are not yet at the base camp of fascism, but that destination is not so dimmed in the mist. I found myself in Kashmir last week, along with friends, speaking to scores of young people, many of them well-educated young professionals — lawyers, doctors, teachers, journalists. There’s no way to know, but some among them may have been associated with stone-pelting in order to vent their anger, or as a conscious decision to register a political sentiment which is emblematic of the times. Volumes have been written these past few days on the success of Donald Trump in the U.S. presidential elections. Less has, however, been said about the reasons for Hillary Clinton’s eclipse. Democracies, perhaps, need to take somewhat greater note of what actually caused the Clinton ‘meltdown’, which was contrary to all optimistic forecasts. Winning the war leads to the inevitable problem of running the country. 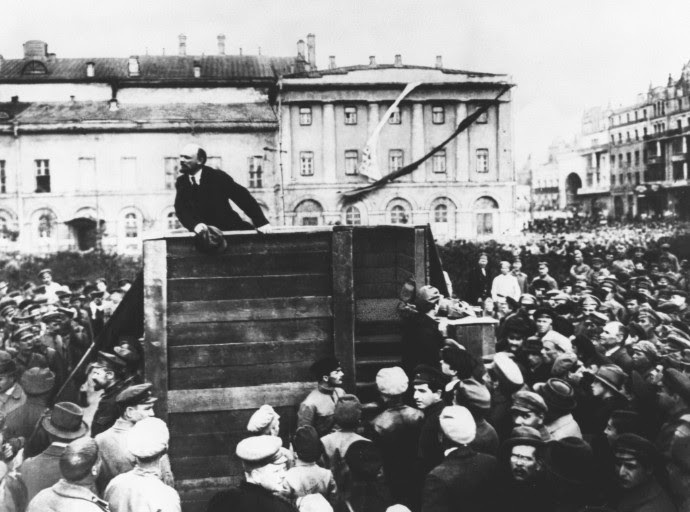 When the Bolsheviks took power, their intention was to create the dictatorship of the proletariat. They took control of government buildings in St. Petersburg, and the trains and telegraph system that tied the country together. They also formed an army to fight a civil war against a counterinsurgency of monarchists who intended to destroy the Bolsheviks. British and American troops supported these Russians. Marxist revolutionary Leon Trotsky was given the task of forming the Red Army, and he didn’t have much time given what was arrayed against him. One problem was that he had never served in an army, let alone commanded one. Vladimir Lenin, who led the revolution, appointed Trotsky primarily because Lenin trusted him, not because Trotsky had experience building an army, although he had read several books on the subject. Lenin trusted Trotsky would not betray him. In a revolution, the hardest thing to know is who will betray you and who will not. Anyone could be an opportunist, an agent of the enemy or a turncoat. During revolutions, competence is a luxury. Vladimir Lenin addresses the Red Army on May 5, 1920 in Moscow. In the original picture, Leon Trotsky and Lev Kamenev stood on the left of the platform. They were later removed from the image. Lenin understood his dilemma, and one of his first acts was to create the state security apparatus – the Cheka – led by former patrician Felix Dzerzhinski. The Cheka was heir to the Czarist Okhrana and the father of today’s Federal Security Service. As an intelligence agency, the Cheka’s initial task was to spy on the members of the apparatus Lenin was building and eliminate those who might betray the revolution. It has attracted criticism, but the system was designed to hold the country together. The final irony in an election filled with irony is the refusal of some voters to accept President-elect Donald Trump’s victory. 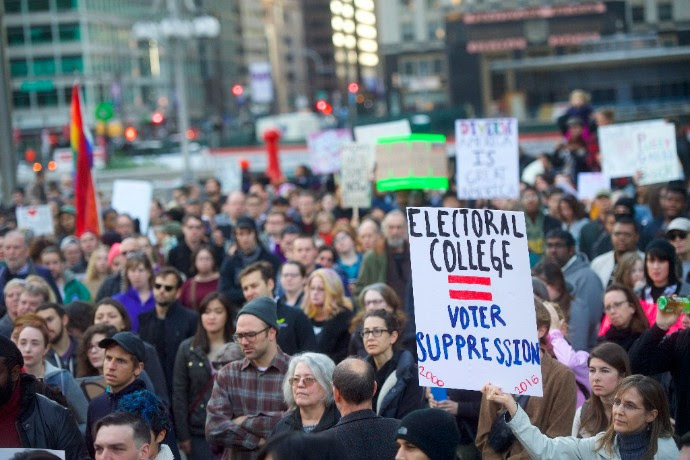 This group doesn’t simply include demonstrators but a movement of some size to persuade the electoral college to vote for Hillary Clinton instead of Trump. The irony is that it was Trump who threatened to refuse to accept the results of the election, while the Clinton camp charged that Trump was violating the sanctity of democracy. Now each has adopted the other’s position. Although, Clinton herself has not sought to overturn the election. Irony aside, it should be borne in mind that asking electors to vote differently than they had pledged to is completely legitimate. The president of the United States is not elected either by popular vote or even by the mathematics of electoral votes. Presidents are elected by electors – these are the people voters actually cast their ballots for on election day. All electors are selected by the parties to whom it is assumed they will be loyal. But legally, their vote is theirs and they are empowered by the constitution to use their judgement as they see fit. The impact of the demonetisation policy as related to curbing the finance of terrorism announced on November 08, 2016, is gradually emerging from the shadow of its surprise announcement. It is becoming abundantly clear that this is unlikely to remain a one off decision taken in isolation and will in all probability be accompanied by additional measures against the financing of terrorism and corruption. Even as the rollout takes place, it provides an opportunity to assess its potential fallout in the mid and long term, as also possible future options available to the government to further build upon the ongoing initiative. Prior to attempting this analysis, it is important to outline the nature of threat faced by India as part of the ongoing fight against the finance of terrorism and its linkage with other internal challenges. It is also relevant to determine its implications, as this becomes the basis of future policy options. India-Japan partnership is regarded as a significant element contributing to the peace and stability of the Indo-Pacific region. The successful visit of Prime Minister Narendra Modi to Tokyo for attending the annual bilateral summit on 11-12 November has become one more significant landmark in the bilateral relations. The importance of the summit should be seen in the persistent efforts made by both countries to broaden and diversify their partnership. The joint statement issued by both leaders testifies to it. Today the Indo-Japanese engagements are not just focused only on economic issues, but they include a wide range of interests including regional security, maritime issues, counter terrorism, energy security, UN reforms, climate change, etc. Sushanta Dattagupta has an unusual gift for insight into events happening around him. He excels in that insight when the past is involved. A Random Walk In Santiniketan Ashram is almost a perfect example of this. His analysis of the Tagorian concept of an unusual form of education at Visva Bharati is quite original. The proximity of Mahatma Gandhi, Jawaharlal Nehru, Subhas Chandra Bose to Rabindranath Tagore and others in the 'ashramic' atmosphere makes me feel that India was born in 1947 out of this interaction. A product of the gigantic melting pot of cultures, languages and that fantastic concept of Tagore, expressed in Bharat Tirtha, about how all kinds of cultures and religions can co-exist in this land of ours. Panditji called this tirtha of Bharat "unity in diversity". Dattagupta tries to explain this through the dialogues of Tagore and Nehru. The holistic university of Tagore's teachings, although utopian as an idea, is indeed a grand and glorious place of learning. To learn is not the same as to memorize facts - Tagore repeatedly emphasized this. Dattagupta's brief analysis of the meaning of Visva Bharati is insightful. He writes "it is a place where the East meets West to unravel the beauty of the universe". Dattagupta carried with him the essential philosophy of Tagore: universality in education - the opening of all doors to the cultures of the world. The author points out that the university today is diverging from the original concept of Tagore. It is now provincial and fearfully parochial - the exact antithesis of Tagore's world view. One of the things Clapper does profess to enjoy about his job is meeting with the men and women who make up his covert empire of 17 agencies, which range from brand names like the CIA, NSA, DEA, and FBI to lesser-known units like the Treasury Department’s Office of Intelligence and Analysis. As he has traveled the country and the world over his six years in office, he has hosted scores of town hall meetings with intelligence officers, analysts, and operatives. The events are typically low-key, focusing less on what’s in the news than on the byzantine and, to Clapper, almost soothing minutiae of the military-intelligence bureaucracy. And so it was that he found himself in late August in an auditorium at US Strategic Command near Omaha, Nebraska, headquarters of the nation’s nuclear forces, taking questions from a group of 180 civilian and military personnel. There were fairly routine queries about China, recruiting, and coordination between the intel services. Then an older man in a suit, a lifer like Clapper, reached for the microphone and asked him something no one ever had in his tenure as director of national intelligence. For a moment the question stopped Clapper in his tracks. India and Israel on Tuesday (15 November) decided to enhance their already-strong defence partnership and intensify cooperation in battling terrorism, along with calling upon the global community to act against terrorism. They also agreed to expand cooperation in sectors, including trade and investment, agriculture, water resources and cyber crime. Prime Minister Narendra Modi, in a media statement, said people of both countries were constantly threatened by terrorist forces and that both sides have prepared for effectively countering them. We recognize that terrorism is a global challenge, knows no boundaries and has extensive links with other forms of organized crime… We agreed that the international community must act with resolve and determination against terror networks and States that harbour them. Failure to act and silence of speech only encourages the terrorists. I wish to say that, Israel is ready to make in India and make with India. The Israeli President is accompanied by representatives of the country’s defence and technology sectors. The Pakistan army garrison at Sargodha. The report indicates that a detachment of Pakistani air force fighters capable of delivering nuclear warheads are housed at the Masroor Air Base west of Karachi which offers ''a large underground facility that is located inside a high-security area. The underground facility is possibly a command center." A New U.S. Front in Afghanistan? Afghan National Army commandos in a convoy during visits to checkpoints on the Kunduz front lines with The Wall Street Journal, Oct. 27. On the night of Nov. 3, U.S. and Afghan Special Forces in helicopters landed in a village on the outskirts of Kunduz, Afghanistan, hoping to kill or capture local Taliban leaders planning another major attack on the city, the capital of Kunduz province in the country’s north. Instead, the militants led them into a trap. An hourslong battle erupted. By the time it was over, two U.S. and three Afghan soldiers had been killed, nine had been wounded, and some 30 civilians lay dead in the rubble. U.S.-trained Afghan commandos and U.S. Special Forces are bearing the brunt of efforts to prevent the Taliban from seizing major cities such as Kunduz. They face an increasingly dangerous foe that is threatening to overrun a substantial part of the country. As many as six of Afghanistan’s 34 provinces are in danger of falling to the Taliban, according to Afghan and coalition officials. As many as six of Afghanistan’s 34 provinces are in danger of falling to the militants, according to Afghan and coalition officials. 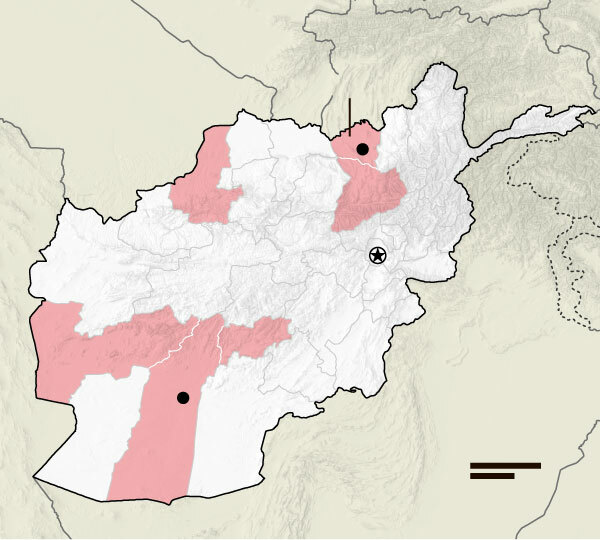 At least three provinces—Kunduz, Helmand and Farah—would probably have been lost already had it not been for the deployment of U.S. Special Forces to their capitals to support Afghan commandos with additional firepower and airstrikes, coalition officials say. Democracy was ‘restored’ in Afghanistan following decades of violence and conflicts. Where violent uprisings against the invading Soviet Union by the Mujahedeen wrecked the rural areas of Afghanistan, the Civil War that followed between the various Mujahedeen factions wreaked havoc on Kabul and other major provincial capitals in Afghanistan. The rule of Taliban took away any semblance of modern political functioning that remained, forcing Afghanistan into ‘middle ages’. The Presidential election of 2014 that gave Afghanistan its present National Unity Government (NUG) was, mildly put, an unsatisfactory exercise. Not only did the conduct of the elections and the outcomes disappoint the domestic audience, it also left the international community dismayed. The elections, which had 27 candidates vying for the post of the President, was in the end, reduced to an ugly battle between independent candidate, Ashraf Ghani and National Coalition of Afghanistan’s leader, Abdullah Abdullah. Marred by widespread fraud and electoral rigging, the Presidential elections of 2014 were considered a watershed event since it was the first time Afghanistan was going to polls in the backdrop of receding international support. The NUG was formed after rounds of negotiations between Ghani and Abdullah mediated by the Secretary of State of USA, John Kerry. It was on September 21, 2014, that a two-pronged government was put in place in Afghanistan, ostensibly with an ‘original deadline’ of two years. It was envisaged under the agreement that the NUG would create conditions leading to the convening of a Loya Jirga which after amending the Constitution of Afghanistan would have formalized and codified the structures of political governance in the country. Undoubtedly India’s national interest lay in having a friendly regime in neighbouring East Pakistan as the economic and cultural affinities of the two Bengals were linked indivisibly. Part of the same province in undivided India, the correlation of industries and sources of raw materials had not foreseen the effect of the artificial territorial partition in 1947. At that time jute was grown in the Pakistani part of the province while the factories producing finished goods were in and around Calcutta. The tea grown and processed in the Sylhet area of East Pakistan was sold in Calcutta along with the Assam product. Fish caught in the eastern rivers was eaten in Calcutta. Cheap river transport carried tea, teak and other commercial goods from Assam and northern Bengal to the markets of Calcutta. Although India had developed its own rail and road links with Assam after partition through the Siliguri-Charduar corridor, for reasons of economy it had used East Pakistan’s rail and river transport facilities till this was stopped by the Ayub regime when hostilities broke out in 1965 and never resumed despite the Tashkent agreement. This minority looked to India for moral support, and in difficult times for their security. Above all, unlike in West Pakistan, there had always been a sizable Hindu minority in the eastern wing as rightful citizens of Pakistan. This minority looked to India for moral support, and in difficult times for their security. It was in this context that India had all along followed a two-faced policy towards Pakistan, comprising continued and outright confrontation in the west and an extended hand of friendship and cooperation in the east. For instance, the Nehru-Liaquat pact of 1947 regarding the transfer of population from certain areas of India and Pakistan did not apply to the east. Later, the evacuee property law enforced by the two governments did not apply to this region. It was in pursuance of this policy of friendship towards East Pakistan that Lal Bahadur Shastri did not permit the extension of hostilities to this region in the conflict of 1965 despite the temptation of easy victory. A newspaper seller prepares her stall with articles dominated by the election of U.S. Republican Donald Trump, in Jakarta, Indonesia on November 10, 2016. While the incoming U.S. presidential administration focuses on domestic issues that drove the presidential campaign, from health care to tax reform, U.S. relations with Southeast Asia are likely to be mostly forgotten. Southeast Asian states were not a focus of the campaign, although the presidential candidates did condemn the Trans-Pacific Partnership (TPP), which included much of Southeast Asia and is now almost surely dead. Even the South China Sea, the most critical security issue in the region, received only occasional mentions on the campaign trail. In a new era where they are likely to be largely ignored in Washington, Southeast Asian nations, which more than any others already had to balance between Washington and Beijing, are rapidly readjusting to a new reality. That new reality is likely to be Beijing’s regional ascendance, especially on trade issues, and growing worries about the United States’ long-term security relationships with Vietnam, the Philippines, Malaysia, Singapore, Indonesia, and Thailand. From 2011 to 2014, the early period of the Obama administration’s rebalance to Asia, Southeast Asian nations enjoyed a renewed prominence in foreign policy discussions in Washington, a prominence they had not enjoyed since the Cold War. Although the rebalance often mystified regional leaders with its vague promises and unclear timetable, it at least rhetorically elevated Southeast Asia in U.S. policymaking, and forced some U.S. leaders to focus on the South China Sea, on supporting multilateral institutions, and on promoting regional trade. Why Is China Opposed to THAAD Deployment? China is opposed to THAAD deployment for several reasons. First, Chinese analysts believe that THAAD in South Korea is intended to intercept missiles launched, not from North Korea, but from China and Russia. THAAD has an operational range of 200 kilometers (km) and is designed to intercept missiles at altitudes between 40 and 180 km. Such altitudes, according to analysts from the People’s Liberation Army (PLA), match the “terminal phase” of the intermediate, long-range and even intercontinental ballistic missiles (ICBM), or those with ranges exceeding 3,500 km. PLA analysts also claim that they match the “mid-course phase” of medium-range missiles, or those with ranges between 1,000 and 3,500 km, including China’s DF-21 and DF-26 missiles. Because the direct threats to South Korea — including the Seoul area, where 40 percent of the South Korean population resides — are North Korea’s long-range artilleries and short-range ballistic missiles, THAAD, they believe, is clearly a mismatch against such threats. Chinese analysts are particularly concerned about THAAD’s X-band radar. Even though it would be configured as a fire-control radar with a detection range of 600 km, it perhaps could be reconfigured as an early-warning radar, which allows a detection range exceeding 2,000 km. Such a range suggests that China’s missile activities on land and at sea in northern and eastern China may be mostly exposed. The radar allegedly can see the critical processes where warheads and decoys are released during China’s strategic missile tests. In times of war, it can undermine the reliability of China’s strategic deterrent because in comparison with Alaska-based radars, it is believed to be capable ofacquiring more than ten minutes of early warning time against China’s strategic ballistic missiles. It can also differentiate real warheads from decoys. If integrated into the U.S. national missile defense network, this radar allegedly can increase the odds of success in intercepting Chinese missiles even at their “boost phase,” reducing further the reliability of China’s already small strategic deterrent and tilting the strategic balance in favor of the United States. 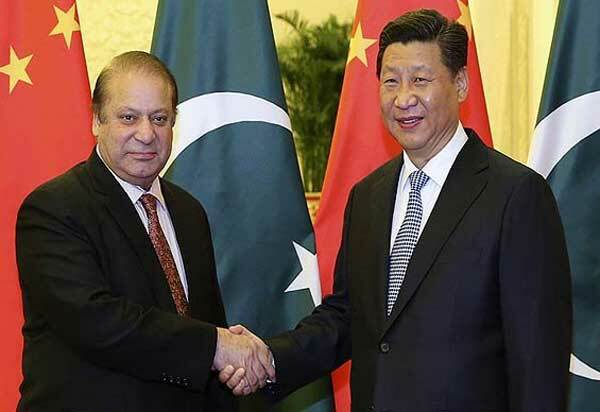 Both India and China began their march towards progress almost at the same time and have had an unwholesome antagonism towards each other since the 1962 War. The boundary dispute between the two nations continues to simmer and tense episodes along the border show a steady growth pattern. Against this backdrop, Chinese ascent as a global aerospace power is no longer just a cause for India to envy but also reason for concern and indeed a clarion call for us to harness ‘Make in India’ into an impelling force to capitalise on the excellent work done by ISRO in the space domain while enticing private enterprise to reverse the immense injury caused to our aerospace industry in the years gone past by public sector ineptitude. In May last year, China unveiled the ‘Made in China 2025’ plan focusing on promoting manufacturing. One of the ten key sectors identified in the plan is aerospace equipment. More recently, addressing a press conference in Beijing recently, Xu Dazhe, Director of the China National Space Administration (CNSA), acknowledging that US and Russia were ahead of China. He said that China aims to become a true aerospace power in 15 years and alluded to the 13th Five Year Plan as the guiding light for aerospace growth. China’s impressive gains in the aerospace sector have added to its national power in recent years. Be it in its modernisation of the People’s Liberation Army Air Force (PLAAF), PLA Navy aviation, PLA Rocket Force, PLA Strategic Support Force, its space capabilities (civilian and military) or its maturing commercial aircraft manufacturing capability, its growing prowess in aerospace, is a matter of grudging envy in the economic arena, as also a cause for concern in the military-strategic domain. On both counts, China’s impressive emergence as an aerospace power deserves attention. Enough has been said and written about the ‘Surgical Strike’ by India on the night of 28th September 2016 as a response to an attack on an Indian Army camp in Uri (J&K) on 18th September 16. But there are certain aspects that require greater analysis. It needs no elaboration that this attack, so close to Line of Control on an army establishment, must not be seen as an equivalent of those in Gurdaspur and Pathankot, despite misplaced comparisons that were drawn in some sections of the press. The recent attack in Uri has been part of Pakistan’s long drawn strategy of proxy war against India and not just a terrorist attack by Pakistan trained non-state players as it was made out to be believed. In fact, it must be seen in synergy with heightened unrest in the Kashmir Valley at that time. To that an extent it can even be said that the Uri attack could well have been carried out by Pakistan’s Special Forces; therefore India’s forceful calibrated response has been excellent as also very timely. We have been hearing this often enough- that Pakistan having lost its Conventional capability edge with India has been banking heavily on its nuclear arsenal, more specifically the Tactical Nuclear weapons (TNW) to ward off any aggression by its powerful Indian neighbour. Such rhetoric by Pakistan has been more pronounced in recent times. This calculation by the Pakistani establishment, essentially gives two indicative impressions-firstly, that Pakistan has indeed a very low nuclear threshold for conventional battle. Secondly, it has plans to carry on with its strategy of ‘thousand cuts’ even to the extent of providing a ‘Nuclear Umbrella’ should India lowers its threshold of tolerance in the Proxy war by Pakistan. With the liberation of Mosul likely in weeks or months, even ISIS seems to agree it will soon lose most or all of its territory in Iraq, and possibly Syria. Unfortunately, this may just be the beginning—not the end—of the global threat posed by ISIS. How do we know this? The answer is readily available in the group’s publications. As Sun Tzu explained long ago, the importance of knowing your enemy and yourself will bring you success. Could we really comprehend the mindset and ideology of ISIS? It is not just the group’s ideology that we should be concerned about; it is continued violence against the entire world. The major difference between ISIS and other terrorist organizations (including the broader Al Qaeda) is that in 2014, ISIS publicly declared a caliphate, establishing a de facto state in Mosul and Raqqa. ISIS leader Abu Bakr al-Baghdadi’s invitation to Muslims all over the world to “migrate” to the abode of Islam has led more than thirty-five thousand foreign terrorist fighters to enter Syrian and Iraqi territory. Through study and analysis of ISIS publications, we have an opportunity to analyze ISIS’s end-state goals. In this respect, ISIS has been extensively publishing magazines and producing videos and tapes in several languages. Al-Hayat Media Center is their main media outlet and distributor. ISIS publishes Dabiq and Rumiyah (Rome) in English, Istok in Russian, Dar al-Islam in French, Konstantiniyye in Turkish and individual publications in English, such as “How to Survive in the West: A Mujahid’s Guide.” ISIS is also distributing selected videos from so-called provinces of the Islamic State. It should be clearly noted that ISIS continues to produce and publish propaganda whether or not it loses territory. Before President-elect Donald Trump brings in the bulldozers to “drain the swamp” in Washington, I hope he will consider the career achievements of two people who embody the nation’s tradition of bipartisan foreign policy leadership, Zbigniew Brzezinski and Brent Scowcroft. The two former national security advisers came from vastly different worlds to join in constructing the foreign policy tradition Trump seems ready to demolish. Brzezinski, now 88, is a Polish refugee who served Democratic President Jimmy Carter. Scowcroft, 91, is a Mormon ex-military officer from Utah who worked for Republican Presidents Gerald Ford and George H.W. Bush. Both were Cold War hawks who were honored recently by Defense Secretary Ashton B. Carter with the Distinguished Public Service Award, the Pentagon’s highest award for civilians. But both were also outspoken critics of the U.S. invasion of Iraq in 2003 — not the belated and muffled opposition expressed by Trump, but the kind that cost them friendships and access. With Trump’s election, this global architecture seems to be cracking. Trump is so inexperienced that it’s hard to predict just where his foreign policy views will settle out. But many of his supporters (and kindred spirits abroad) are in open revolt against what they see as the menace of globalization. The decision to bring such important data to light comes as Saudi Aramco is preparing to partially privatize its assets, an IPO that could bring in some $100 billion. The IPO will be a monumental event, one that the Wall Street Journal says could offer Wall Street some of the largest fees in history. Saudi Arabia often trades off with Russia – and more recently, with the U.S. – as the world’s largest oil producer. But while it produces at similar levels as Russia and the U.S., it is long been a vastly more influential player in the oil world. That is because of two reasons – the size of its reserves, and the ability to use latent spare capacity to quickly adjust supply, affording it an outsized influence on crude oil prices. But while everyone believes Saudi Arabia has some of the largest oil reserves in the world, perhaps rivaled only by Venezuela, there has been a lot of uncertainty and skepticism over exactly how much sits beneath the Saudi desert. The world’s largest oil field, Ghawar, has been producing since the 1950s, raising speculation about the longevity of the supergiant oilfield. It alone is thought to hold around 75 billion barrels, and it churns out more than 5 million barrels every single day. Surely, it cannot continue like this indefinitely, but the Kingdom has not revised its official reserves for years, which have stood at 260 billion barrels since the 1980s. It is hard to overstate how valuable this information is, and how fiercely Saudi leadership protected it. To help get the deal through the Japanese Diet, Prime Minister Abe needs to reassure sceptics that Tokyo retains its anti-nuclear weapons positions. Hence, a note to the effect that Japan reserves the right to give a year’s notice and suspend nuclear commerce with India in the event of New Delhi conducting another nuclear test, was signed and exchangedfollowing the formal nuclear agreement. The concession makes it easier to conclude the deal. Donald Trump’s nomination of Senator Jeff Sessions to become attorney general is triggering a chorus of indignation on the left. But Sessions, who entered the Senate in 1997, who chaired Trump’s national advisory security advisory committee and who serves on the bipartisan advisory council of the Center for the National Interest, has compiled a record that suggests he will be a decisive and constructive leader of the Justice Department. Sessions is potentially a historic appointment, sending encouragement to law enforcement agencies not to allow political correctness to become a straitjacket on the performance of their essential duties. It is hardly surprising that Trump would select Sessions for this post. He was a staunch promoter of Trump’s fortunes during the primary, and fits in very well with his populist instincts. Sessions is an opponent of amnesty on immigration. Today, the Sessions appointment would help set the Justice Department in particular, and America in general, on a course that helps to ensure that law enforcement protects citizens in a neutral and fair manner. He will offer a different focus than the Obama Justice Department, with its emphasis on particular groups. Sessions’ focus will be on protecting the rights of all citizens. Those who are attempting to tar Sessions are likely to be very disappointed by his actual performance at the Justice Department if he is confirmed by the Senate. Despite all the innuendo and intrigue, the 2016 presidential race actually delivered some serious policy debates. Donald Trump directly challenged longstanding, bipartisan support for American internationalism, most of all on trade and immigration policy. Hillary Clinton, borrowing in part from Bernie Sanders, questioned certain trade agreements herself while championing a higher minimum wage, free community college, gender equity at the workplace, more generous child care for the middle class and working poor, and needed repairs to the Affordable Care Act. However, these issues and policy positions have been caricatured and sloganeered more than they have been discussed, debated, and analyzed. At Brookings, we have sought to develop more detailed proposals for moving the nation forward that could be of use to the future President Trump and to the new Congress. There is no single Brookings view or institutional plan of action. Many of the ideas could plausibly be labeled either left or right, and might be of interest to both political parties going forward. 1) Don't obsess about the deficit and the debt. The United States has not been a great steward of fiscal policy in recent decades, allowing publicly held debt to rise to 75 percent of GDP. In one sense, this is not good, of course, and leaves us vulnerable to future fiscal shocks or higher interest rates. But asessays by Doug Elmendorf and others have argued, given today's low interest rates, perhaps an even higher priority than driving down the debt is to invest in the future, while reorienting expenditures. We should spend more on infrastructure and education, while protecting benefits for the working poor, low-income children and the elderly. We can pay for this by steps such as reducing or taxing the social security benefits of higher-income Americans, who have tended to benefit from the very trends in automation and globalization that have worsened the prospects of many other American citizens. The UN’s highest court has narrowly thrown out a landmark case brought by the Marshall Islands against the United Kingdom, Pakistan and India, claiming that they have failed to negotiate in good faith towards nuclear disarmament under Article VI of the Non-Proliferation Treaty of 1968. The International Court of Justice (ICJ) ruled at the preliminary stage that there was no dispute, and, in doing so, closed the Court’s doors, sidestepping the opportunity to address substantive questions surrounding the use of nuclear weapons. Questions surrounding nuclear weapons do not lend themselves to easy answers. International law is caught somewhere in the middle between the realities of power politics and conceptions of what the world should look like. In 1996 the ICJ gave an Advisory Opinion on the legality of the use of nuclear weapons and it concluded that there was no international law that either authorized or prohibited their use. It was a controversial outcome for the ICJ to say that there was no law at that moment to apply to the question it was asked. However, the Court’s conclusion may have been correct. If it had given a definitive answer in the Advisory Opinion, it would have been entering into a technical and political discourse beyond its role. In reaching its conclusion to dismiss the Marshall Islands case, the Court determined that, to constitute a dispute, the respondent must be aware that the claimant positively opposed its views. Disputes have taken on a whole new meaning and role after this judgment. In addition to the respondent having some sort of objective awareness of the dispute, the Court went on to add that even if the dispute crystallizes during proceedings, this can’t cure the initial defect. The Court’s highly formalistic reasoning, which stretches what a dispute constitutes, may worryingly allow the Court to engage in strategic maneuvering. It's been only nine days since Donald Trump won the presidential election, but much of the world is acting like he's already in charge. Russia is doubling down on its military offensives in Syria, where dictator Bashar Assad says Trump could be a "natural ally." Mexico has unveiled an 11-point plan to protect its citizens in the United States. China is touting a new trade bloc in which it will dominate instead of the United States. And the Islamic State terrorist group is stepping up recruiting of jihadists eager to defy a U.S. president-elect whom one fighter described as a "complete maniac." As the world moves faster, it may seem normal that foreign interests are willing to look past Barack Obama, the sitting president, and adjust to deal with what they believe his successor will do. And, historically speaking, the transition period has often been a time of tumult in world, as well as domestic, affairs. It was in the presidential transition period between 1860 and 1861 that the U.S. unraveled into the Union and the Confederacy, the so-called Secession Winter. But Trump's looming ascension to the White House is unusually unsettling for the rest of the world for two main reasons: The Republican real estate mogul appears ready to take American foreign policy in a radically different direction than even many in his own party want; and yet he's so inconsistent that no one really knows what he'll actually do. So some are preparing for the worst. Why Are We Bringing Montenegro Into NATO?